Place: Rey Juan Carlos University. Madrid. Exhibition Spaces. Authors: Lucas Firouz and Elena Grish. 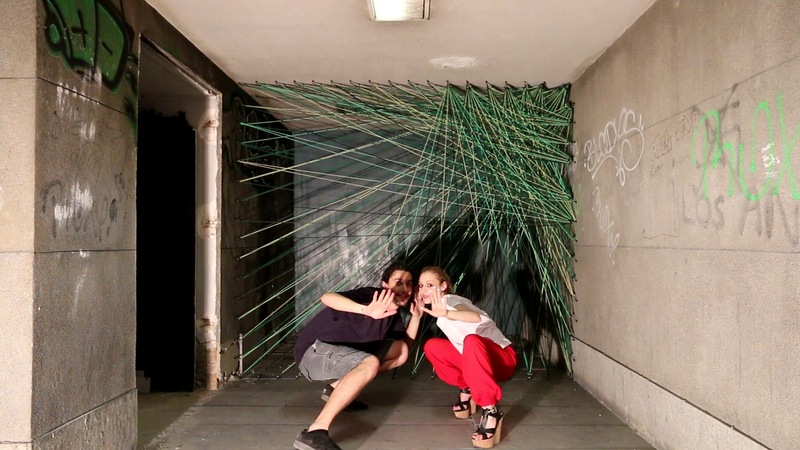 Collective art installation exhibition at Rey Juan Carlos University facilities in Madrid. 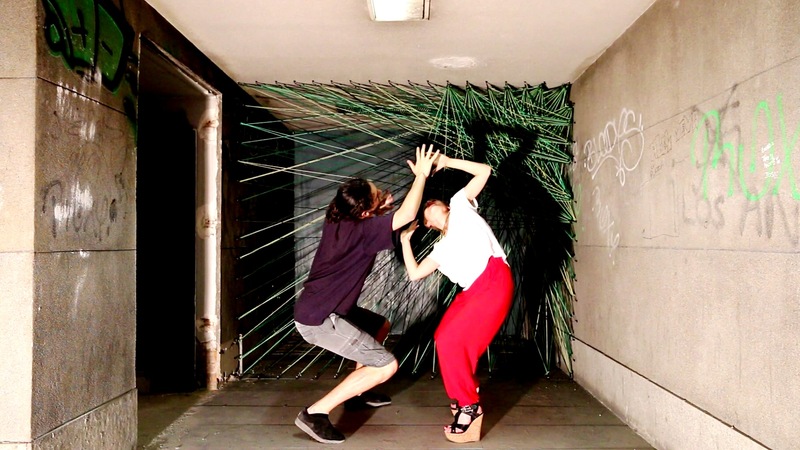 The exhibition called Spaces is a reflection of twelves artists about the concept of space, and the different ways to use it and understand what does space means. This performance is called: Danced Geometry. Artist Loucas Firouz create a geometrical art installation as a reflection of the concept of nets as genereted of matery and space. 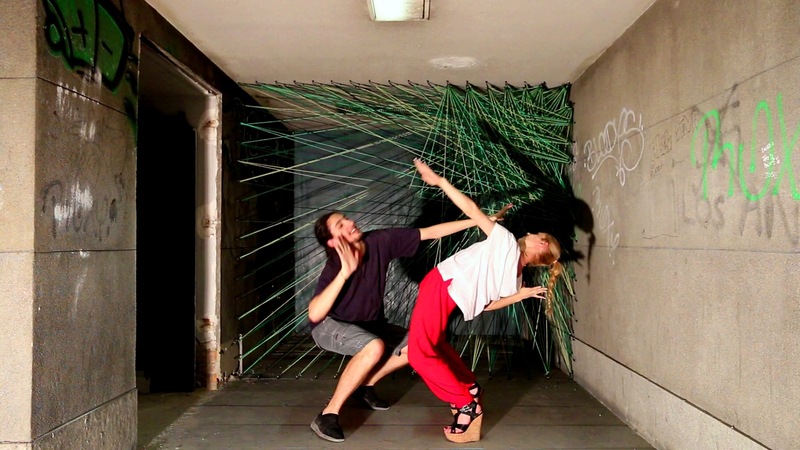 We decided to explore how bodies works them selves as nets and geometrical pieces that moves together creating spaces. Danced geometry. Exhiition Spaces. Madird.